This bronze statue by Antoine Barye is handmade and cast in the traditional Lost Wax Casting Process. This insures a quality bronze sculpture that may be passed down from generation to generation. 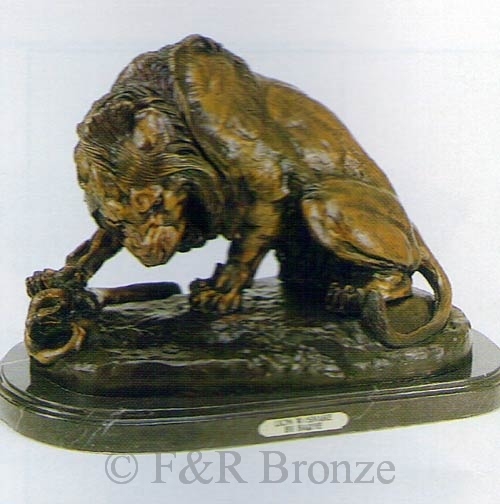 This lion’s strength and anger are both captured in this bronze statue by Barye.